Nestled on a remarkably private cul-de-sac lot within the sought after Jupiter community of Cypress Cove is this newly listed 5BR/3BA home. Model perfect, this gorgeous Cypress Cove residence showcases a wealth of highly desirable features throughout its sprawling 3,577 square foot interior. Perfectly positioned away from main living areas, the spacious ground floor master suite is luxuriously appointed with a number of fabulous features including expansive closets, patio access and a generous spa-quality bathroom. Perfect for entertaining, the open kitchen features granite countertops, an over-sized pantry, custom cabinetry and a full suite of stainless steel appliances. This meticulously maintained Jupiter gem opens to an impressive outdoor living areas and amenities including a heated saltwater pool. Additional appointments include newer paint, newer A/C units, upgraded flooring, custom drapery, tankless water heater, hurricane impact glass windows 3-car garage. 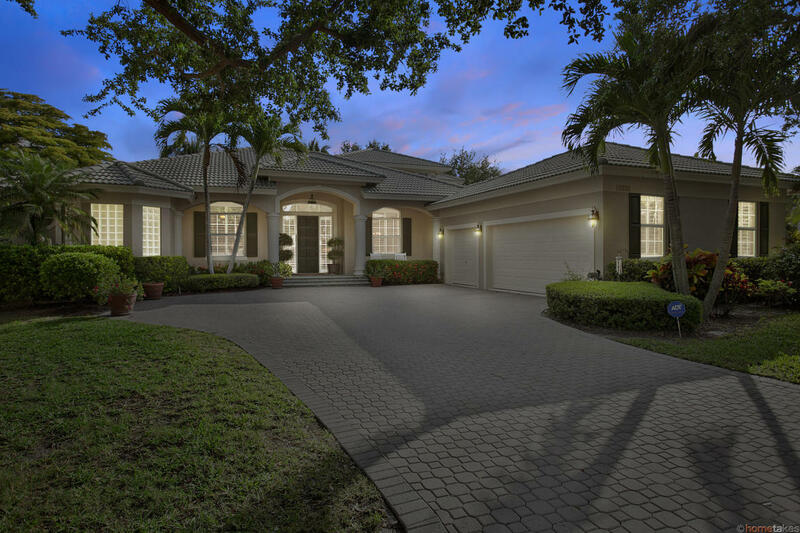 19213 Tamara Lane is located in Jupiter and is currently asking $749,000. This Cypress Cove listing is courtesy of MLS# RX-10148237. Cypress Cove is an exclusive community of only 79 single family homes located in the laid back seaside town of Jupiter, Florida. Residents of this family oriented Jupiter community enjoy a number of amenities including basketball and tennis courts, picnic areas, children’s playgrounds and gated entry. In addition to a premier address close to shopping, dining and miles of beaches, residents of Cypress Cove also enjoy the luxury of being located within an ‘A’ rated school district.